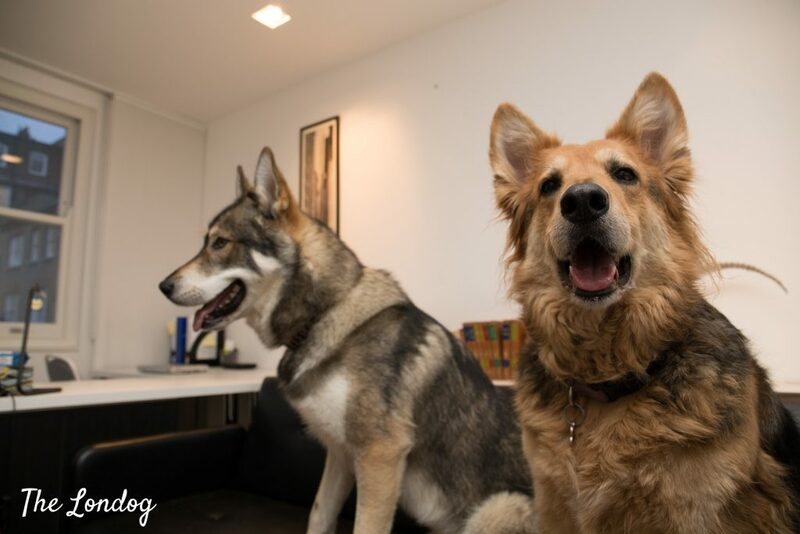 Tessa, the German Shepherd Collie mix, and Winter, the Czech Wolfdog Malamute cross, fill up the ranks at Formations House, a first formation agent and accountancy based in Marylebone, London, as office dogs in charge. As I walk in at Formations House’s offices, in a two-floor elegant building tucked away in a quiet street in Marylebone, Winter peeks from behind the door for a greet, while Tessa is intent slurping from a dog bowl placed below the coat hooks. With their 22 and 38 kgs (and growing) respectively, they have a big presence, and it is lovely to see them roaming around the anteroom. We make our acquaintance before heading upstairs to the workspace. Tessa is the senior office dog. She celebrated 8 years of age on Christmas Day and has a record of going at the office since she was one, so she is very chilled out. 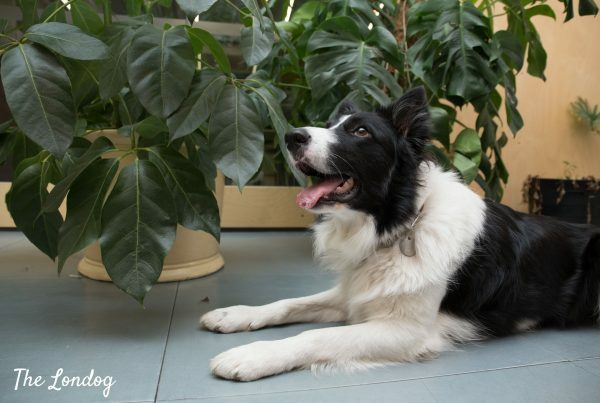 “Tessa is a very friendly, smiley dog and likes to hold hands with people. Great at balancing treats and other items (office stationary etc) on her nose. Very good when walking, doesn’t bark much at other dogs, seems like an angel but the moment we cross a threshold into a park she gets all vocal and loud and wants to play immediately. Great at football,” says Charlotte. Hating: Nothing, but is scared of many things including the paper wrapping on straws, mice, bubblewrap (even if its in tact and not being popped), bubbles in general and many other mundane items. 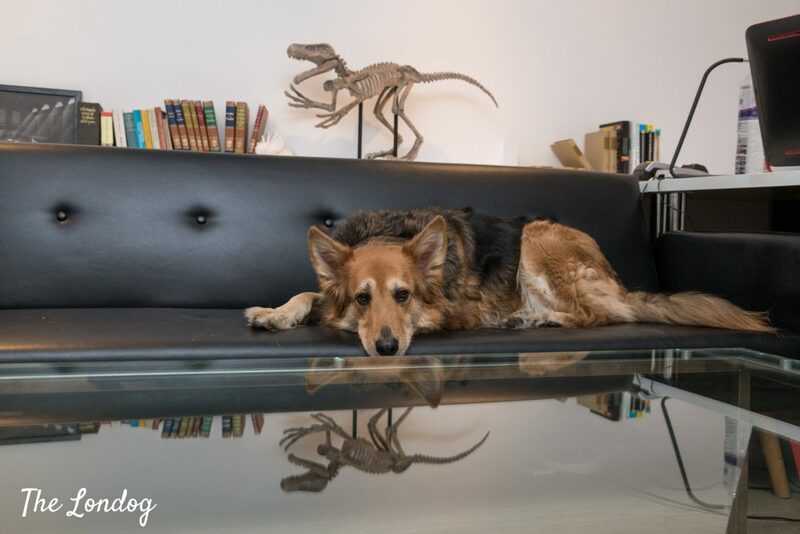 Most famous/infamous episode: When we replaced the office sofa and I said she couldn’t go on it in case her claws tore it, but everyday for a week she just put her head on it and look at us all until we gave in… it’s on reddit still. Most famous/infamous episode: I cant think of any one off ones, as he is generally a silly doggo.. his utter embarrassment at being carried on an escalator when he was already 34kg, getting scared of a lady sneezing on the train. Getting scared of the toilet on the train. Getting scared of a cushion with a wolf on it. Getting scared of a paper bag in the garden. You see the theme! There was the time that one of our guys brought in a birthday cake made by his girlfriend. He put in a far corner on the counter. Winter being so tall, managed to slowly pull the plate towards the edge, the reach up and take a bite from the corner… he was fine after, but the explosive poop on the way home wasn’t pleasant to pick up. Charlotte unfolds a plastic bag, revealing some slices of ham and suddenly all ears and eyes are on the prize, as they work for the treats. 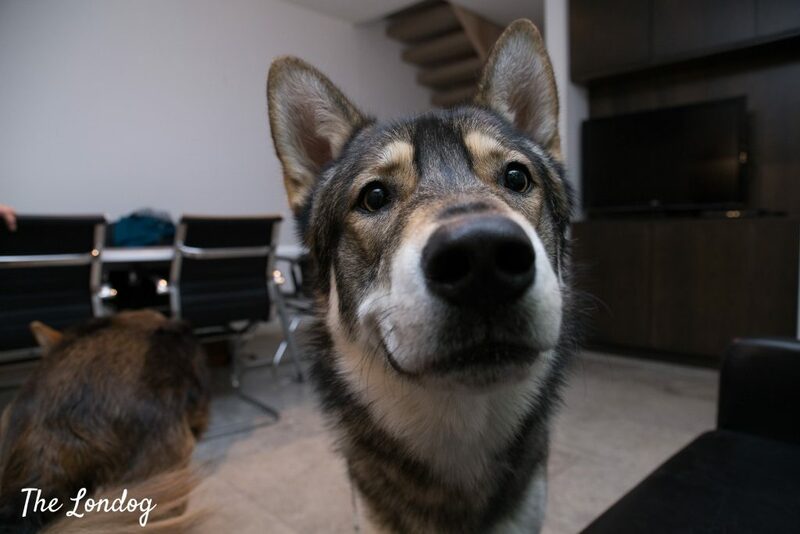 At first sight, Winter very much resembles a pure Czechoslovakian Wolfdog for his colours and fur, but it is when you take the time to observe his muzzle, that you see that it is a bit shorter and less pointy than the Wolfdog’s, and you start seeing the Malamute in his genes. 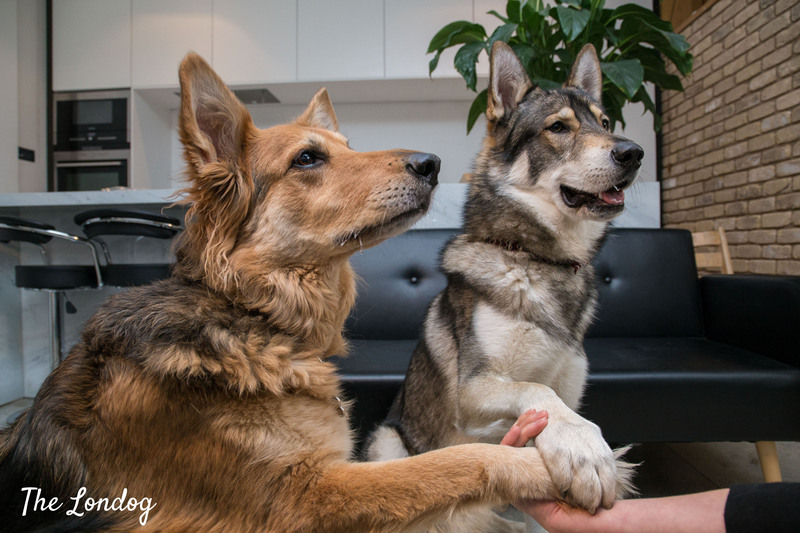 They are both very sweet and it is amazing to see them giving their paw “holding hands” with Charlotte, like proper musketeers! When it comes to commuting, Charlotte and Winter generally leave the office slightly before rush hour to avoid the crowds, or once a month arrange to meet friends for a quick drink in one of the dog-friendly places in Marylebone or Fitzrovia. On the way in, it can be a bit more challenging, but according to Charlotte Winter is ace. Tessa and Winter have had a three-fold impact at the office. Firstly, they brought a positive effect on the team. 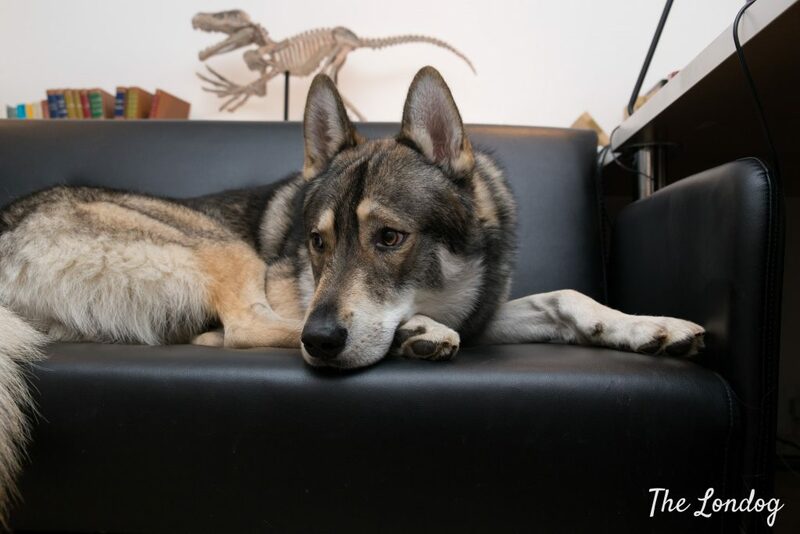 “The team love having a dog in the office on a daily basis, it’s a therapeutic distraction when its been a busy day. Also it’s nice to have constant company and gives an excuse to go stretch legs as everyone is welcome to take any dog outside for a short walkie,” says Charlotte. 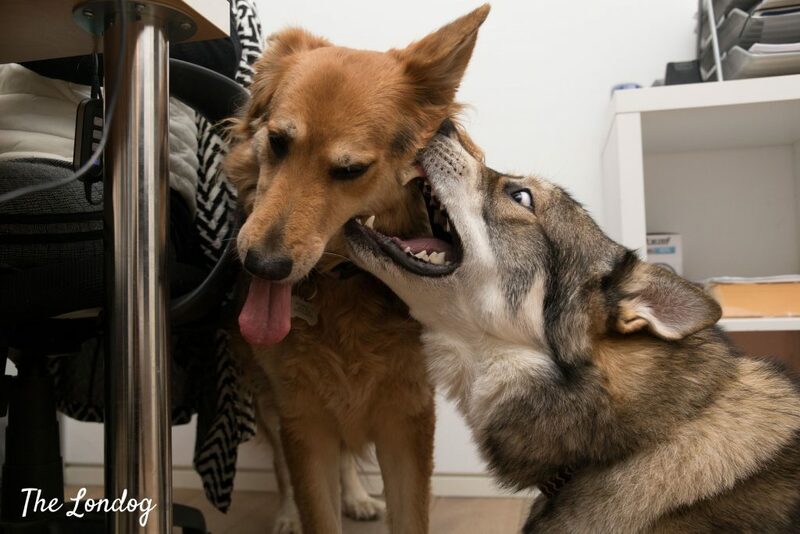 Of course they accomodate clients who may not be such fans of canines. 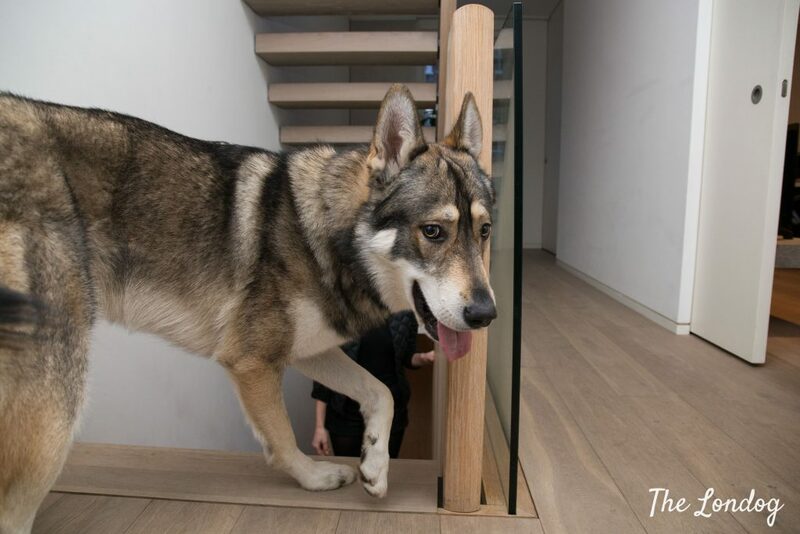 “We do have a small number of customers who do not like dogs, and the dogs know that when we tell them to go upstairs they have to right away and stay there until we let them know. 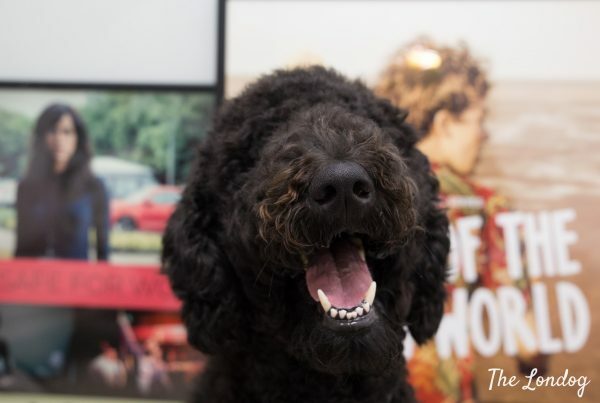 A couple of such customer have over the years become accustomed the us having a dog in the office and are relaxed more about it,” addes Charlotte. 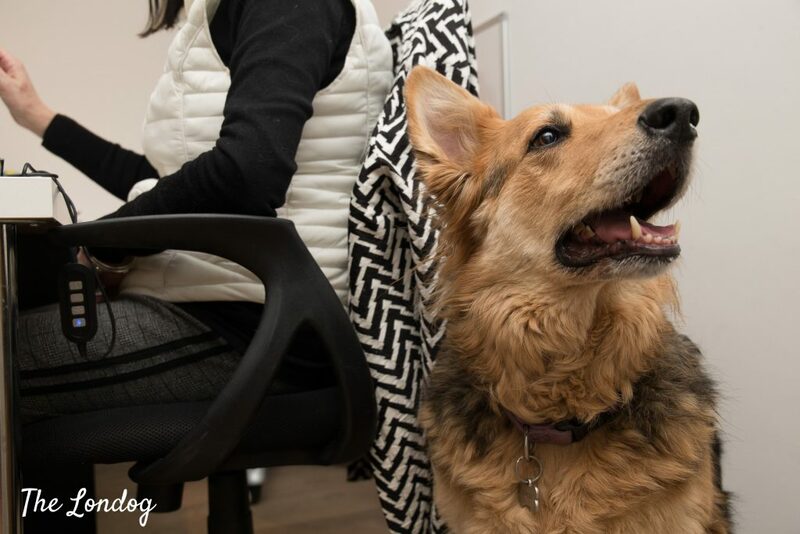 Finally, being office dogs means a lot for Winter and Tessa too. 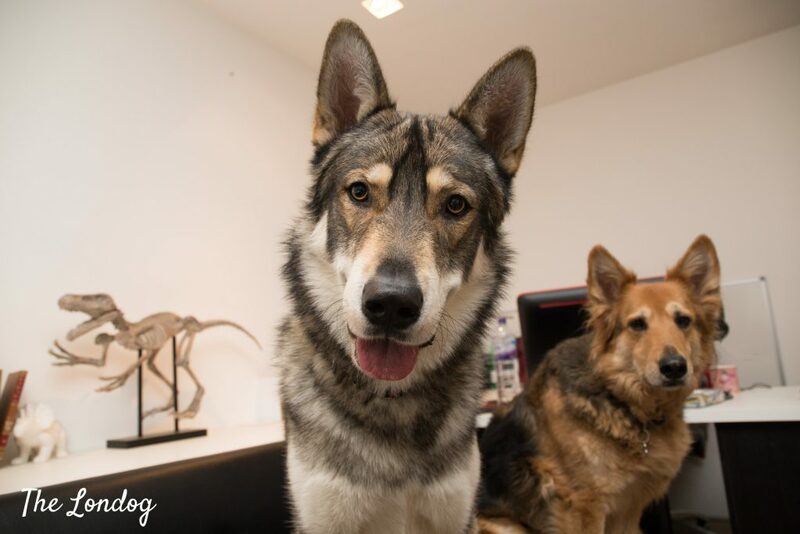 “It’s really important for the dogs, they get so much additional socialisation and mental work, they thrive. 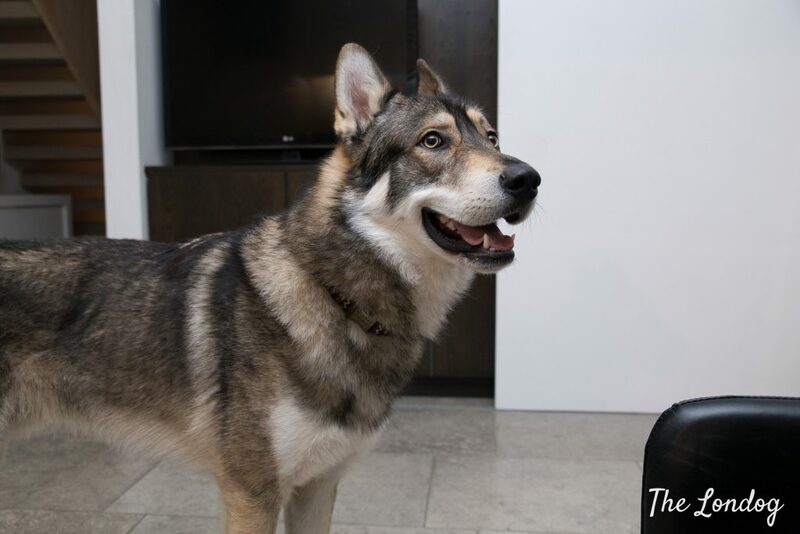 They also learn good manners which I think is important for dogs,” comments Charlotte. Charlotte gave her tips for working it to work. bear in mind dogs might shoot out the door when its opened, luckily ours don’t do this now and know to wait inside. 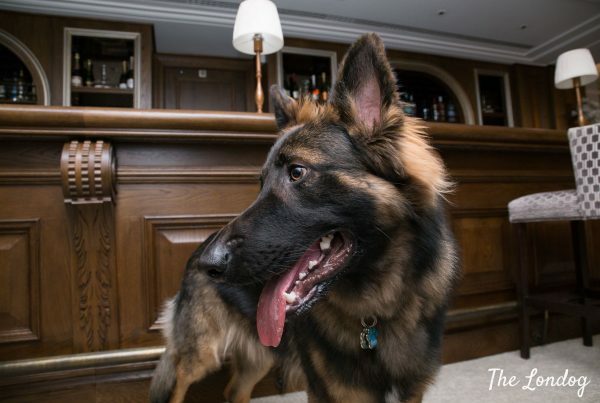 Tomorrow on the BLOG meet Buddy the German Shepherd from The Kennel Club.